These limb and plaster cast protectors are self - supporting. 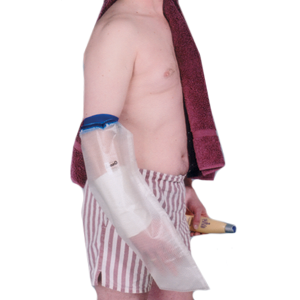 The neoprene seal prevents the ingress of water during bathing or showering. They are simple to fit and comfortable to use. They are reusable and will last through the average users duration of treatment. Arm circumference 3" (76mm) above elbow 10" - 14".